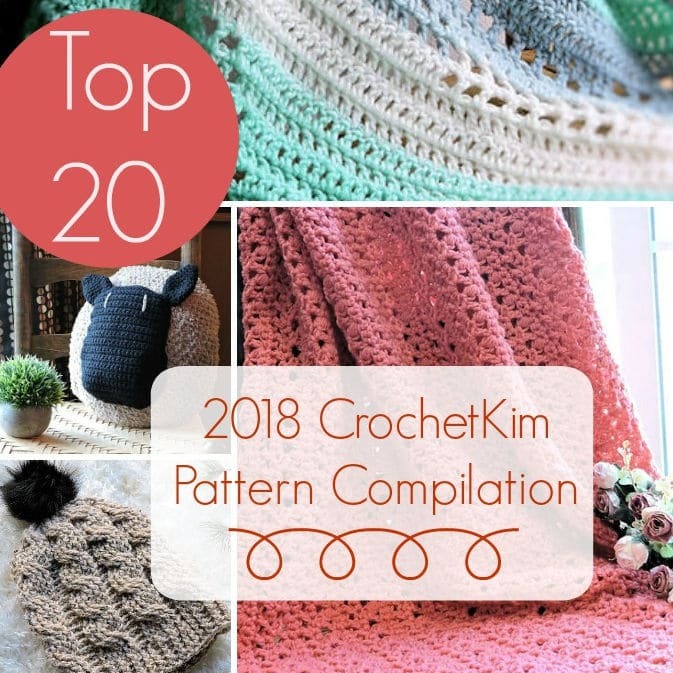 I have seen so many requests from knitters for a crochet pattern to be knit or from crocheters who wish the knit pattern was crochet. My answer is Tunisian crochet. Tunisian crochet truly is the most versatile of the needle arts to me. 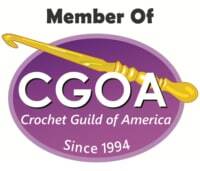 It bridges the gap between knitting and crochet in a way like no other craft. So, getting back to Tunisian crochet bridging the gap between knitting and crochet. Truly, this is the craft that marries the two crafts perfectly unlike what has typically been written into books in our history. No, it’s not the evil stepchild of these two crafts, it’s the perfect marriage between the two. Here are a few of my past projects which will give you a wide range of projects demonstrating the tremendous versatility of this wonderful craft. Just a bit of eye candy for you. And, if you are hungry for more, be sure to visit and follow my Pinterest page here for more. 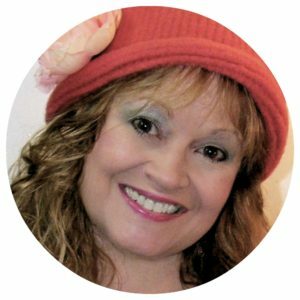 In order to get started, you need only grab a hook and yarn and visit my YouTube videos here. Both right- and left-handed orientations are available. Here is some Tunisian crochet eye candy to pique your interest. Tunisian Lace Scarf from Tunisian Crochet Stitch Guide. More information. This is a clever scarf design, worked in Tunisian crochet lace. It’s from my book, Tunisian Crochet Stitch Guide, published by Leisure Arts. It was very interesting to do a book with stitch patterns. 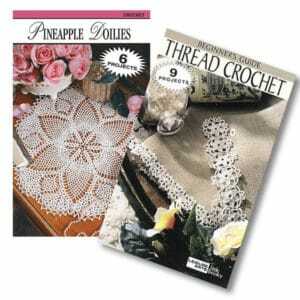 The little book has 50 stitch patterns. It starts off with learning the symbols and easy, traditional stitch patterns and then includes sections for colorwork and lace. 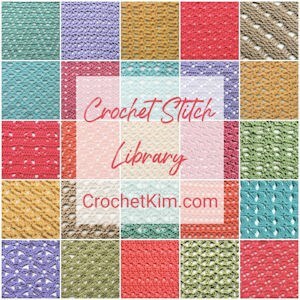 Instructions on how to do actual stitches are in the back of the book but be sure to also use my free online videos at YouTube to help with learning them. Once you have the basics down, the possibilities are endless. This book is currently out-of-print but I still see available on eBay from time to time. Isn’t that a lovely blanket? So pretty. Sapphire Wrap from Short Row Tunisian Fashion. More information. This was my first experience in making pineapples in Tunisian crochet. So unique and beautiful as the edging in this crescent wrap. Crescent Bag Free Crochet Pattern Available here. This is a free pattern on my website because I want you to experience felting. 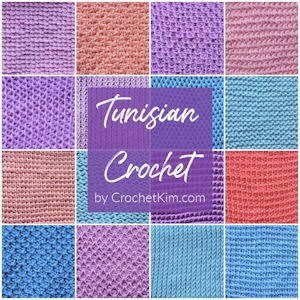 I love felt Tunisian crochet and I’ve written about it previously HERE. I’ve felted in regular crochet, knit and Tunisian. 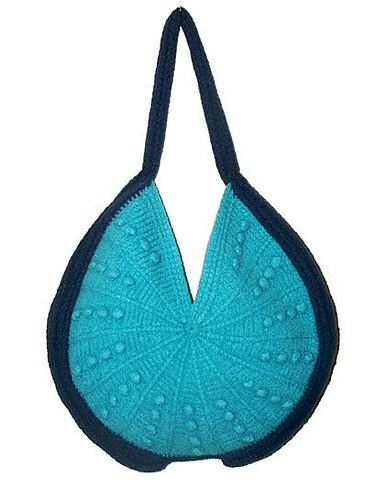 By far, Tunisian crochet makes the most outstanding felted material. 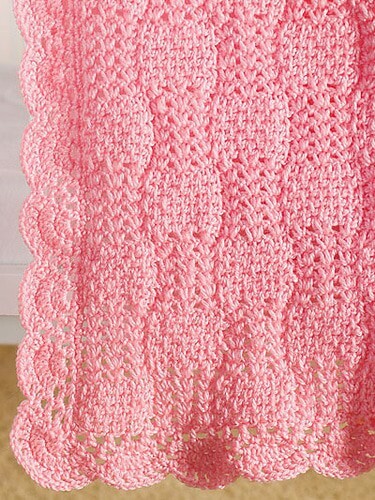 I use the Tunisian Knit Stitch which already has a sort of bulky, two-sided thickness to it. Once felted, it’s incredibly sturdy and perfectly beautiful. 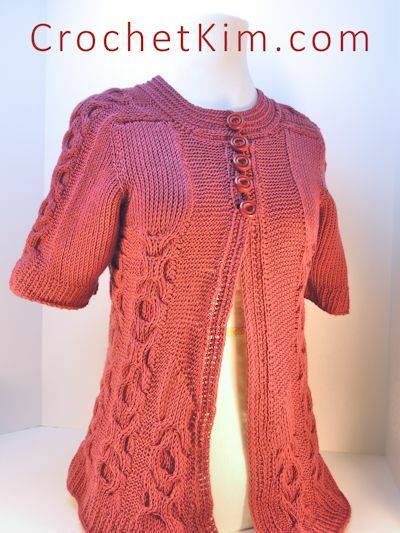 Here’s an introduction to Tunisian lace in a beautiful wearable design. Use cotton for comfort in the summer heat. Van Gogh Waves from Unexpected Afghans. More information. This is a fun design I did for one of Robyn Chachula’s books. 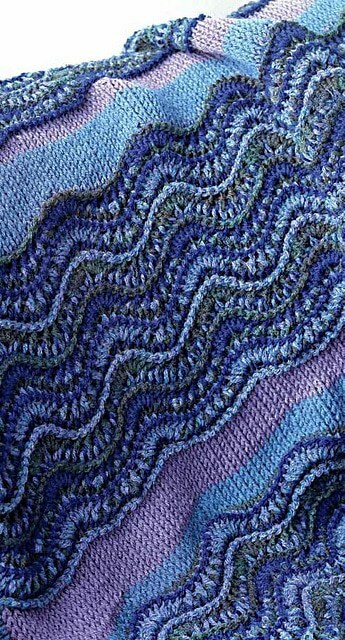 It includes a beautiful multicolor wave, separated by rows of color using a short row technique to give it a diagonal effect. This was the first time I used a really long cabled hook to make the trim. I’ve seen it done in knitting so I wanted to give it a try in Tunisian. Worked like a charm.